Consuming a variety of whole natural foods, based on your tolerance, is always encouraged. Eating more organic, non-GMO, range fed, locally grown foods, is preferable. We believe that every body has their own individual nutritional needs. At conception we all start with our individual genes blood type and then growth. After conception many different types of stress can be experienced and each can change our nutritional needs in various ways. Some of the possible stress factors include: vaccinations, heavy metals, Electro Motive Forces (EMF), pesticides, herbacides, food additives, food colors, GMO foods, growth hormones and estrogens in foods, high fructose corn syrup, pathogens- bacteria, viruses, fungus & micotoxins, parasites, mycoplasma, allergies (auto-immune reactions), psychological trauma, post-traumatic stress, etc. From practicing the Nambudripad Allergy Elimination Technique (NAET), we have learned that it is possible to become “sensitized” to any food, nutrient, or any of the stressing factors above. We have helped many patients with Multiple Chemical Sensitivities. NAET allows us to identify and deal with these sensitivities/allergies. This modern environment is teaming with toxins and pathogens. Our job is to find the root cause of your health issue, supply the needed nutrients, then use acupuncture to stimulate your body’s natural healing systems. We know how to work with your health professionals and we make referrals when they are needed. 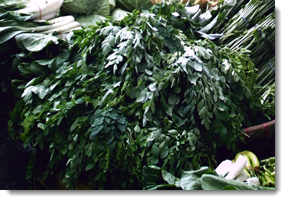 Moringa is a very nutritious supplement. Read more here in the Moringa Review or watch this informative video titled, Moringa Oleifera “Miracle Tree”. Wondering if there could be an interaction with a Herb? Please select the Medscape Drug Interaction checker here. We love helping people by stimulating their own natural God designed healing systems with acupuncture, nutrition, herbology, and exercise!